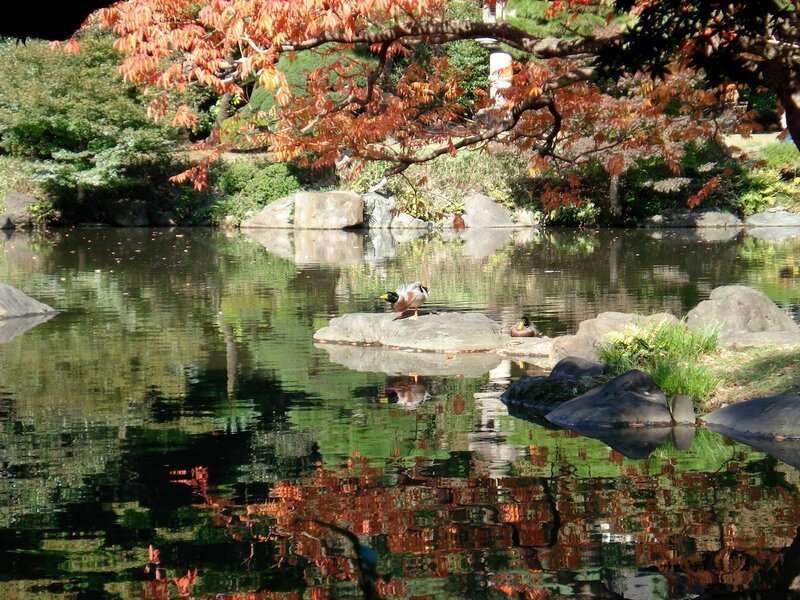 The Kyu-Furukawa Gardens include three distinct features that blend together in harmony. The first and second features are the early western residence and its rose garden. Finally, the Japanese garden uses the terrain to transition from the rose garden and into a beautiful woodland Japanese garden. All three have their separate charms that will attract people to here for different reasons. Kyu-Furukawa Teien (Gardens) is located in the northern suburbs of Tokyo to the north of Komagome Station on the Yamanote Line. 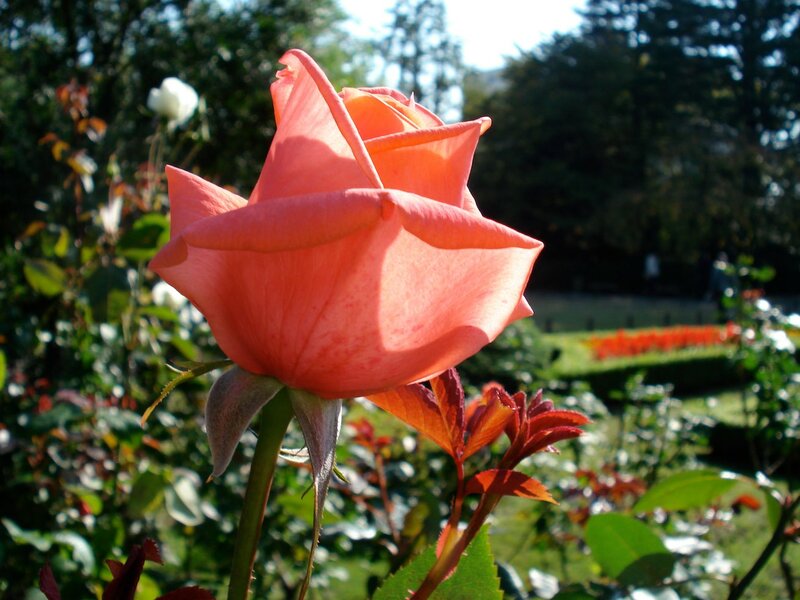 Many people visit during May or October when the roses are in full bloom. Today, visitors enter around the back of the house. Originally, you would have been ridden your carriage around from the west side. The house's dark slate gives it a very solemn and weighty air to it. 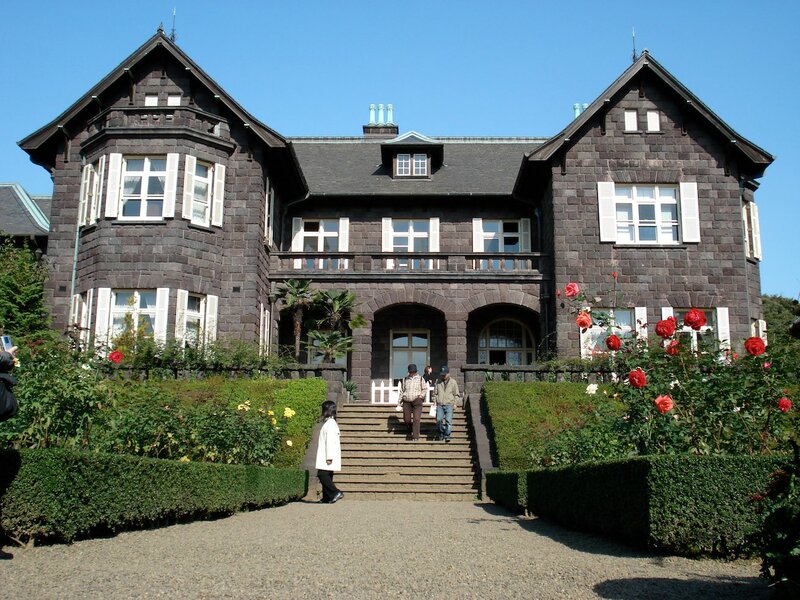 The exterior is a mineral called andesite that was quarried from Manazuru on the Izu Penisula. 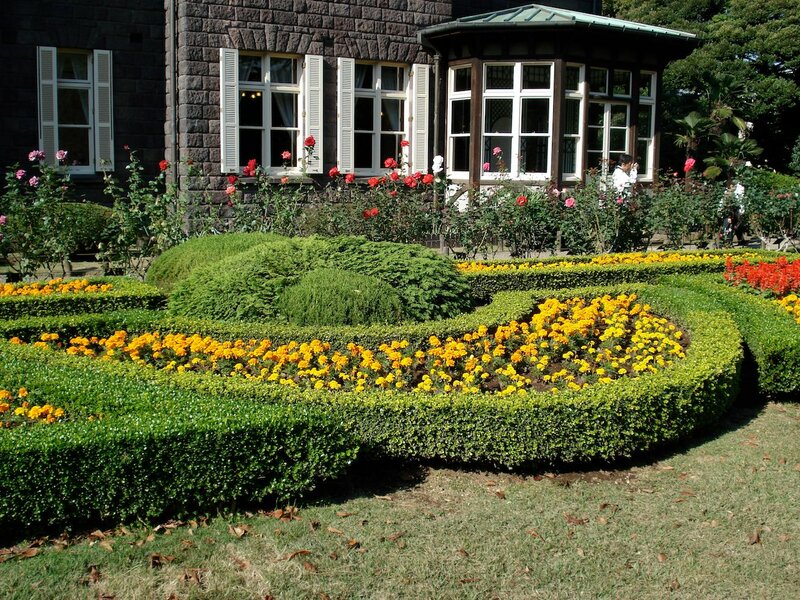 The rose garden is located in front of the house and, while small, is well kept up. There are dozens of varieties of roses. There's actually several places where you can look out over the Japanese garden from above here. Following the path down a moderately steep hill brings you to the literal heart of the garden. The garden has very little flat open spaces. Instead, there are rolling hills and small paths through the forest. The main route circles around the pond called "Shinji-Ike". There are a number of stone lanterns along the path. Finally, you emerge back out of the woods at the grass lawn close to the entrance. 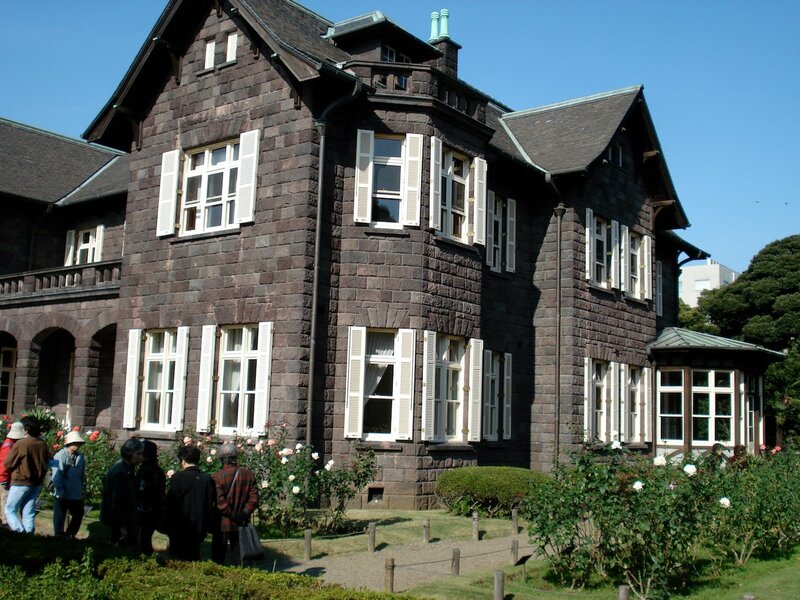 The land at one point was used by Mutsu Munemitsu (famous Meiji period figure) for his residence. On the adoption of his second son into the Furukawa family, the land became theirs. 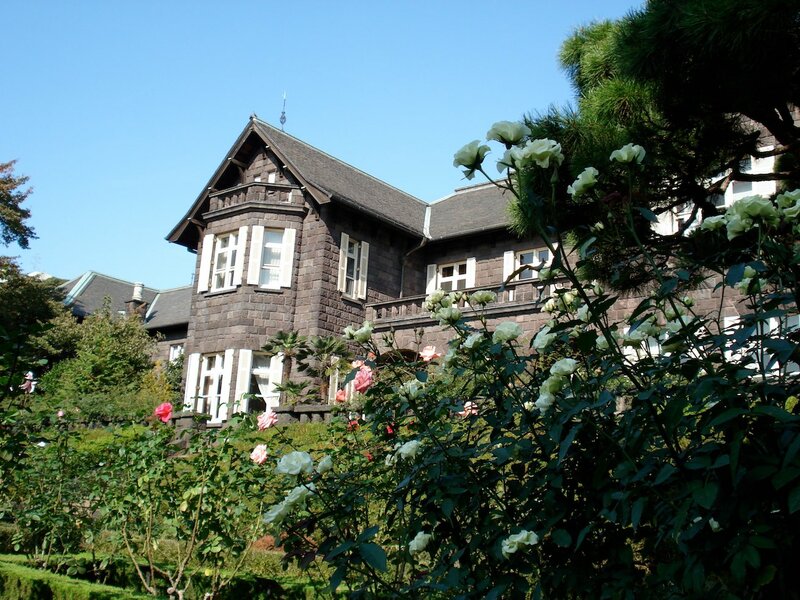 The house and rose garden was designed by Josiah Condor (1852 to 1920) and built in 1917. 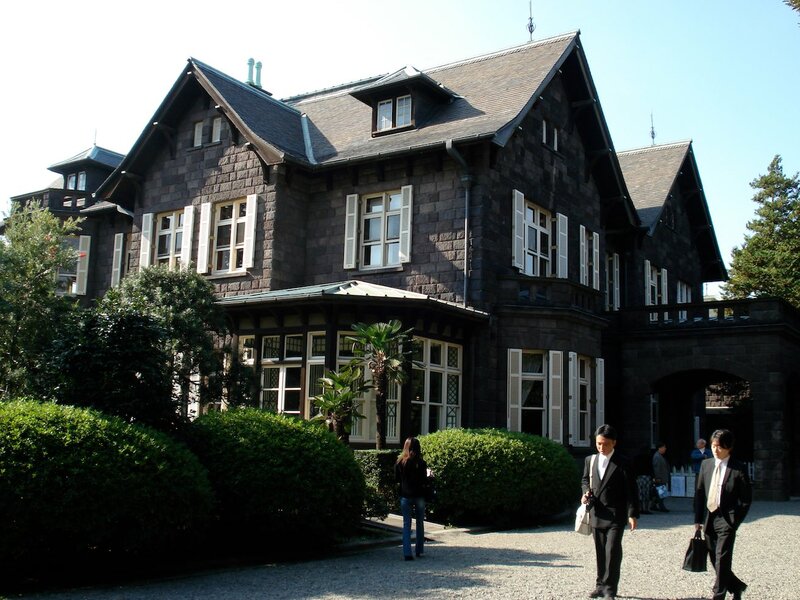 He was also responsible for the design of the Iwasaki residence, Nicolai Cathedral and other period western-style buildings in Tokyo. 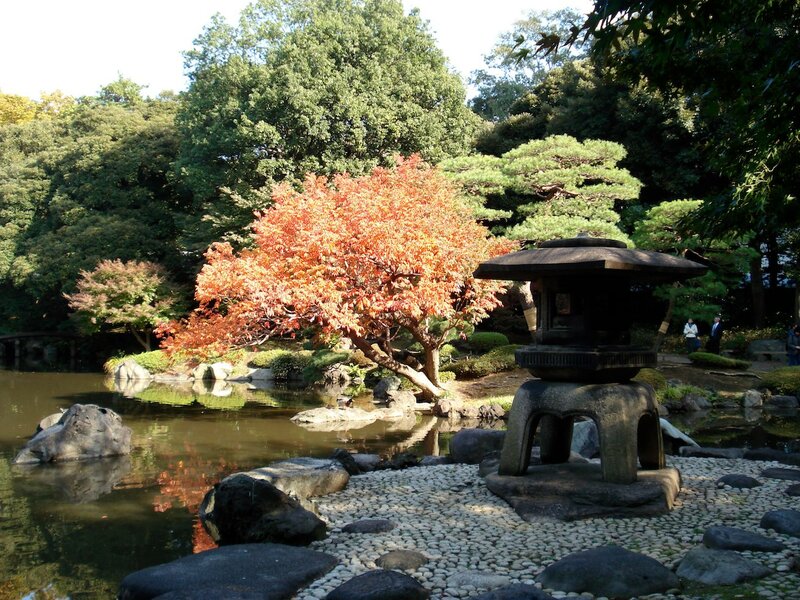 The Japanese garden was designed by Ogawa Jihei (1860-1933) who went by the alias of Niwashi-Ueji the year after the house was completed. It is a typical example of Taisho Period garden and the design makes effective use of the natural terrain that drops down from the house to the lower pond. The large pond is the garden's most prominent feature and it is sculpted to match the outline of the Chinese character for "heart". The two gardens provide a nice contrast to each other and the house is an excellent example of early western architecture in Japan. 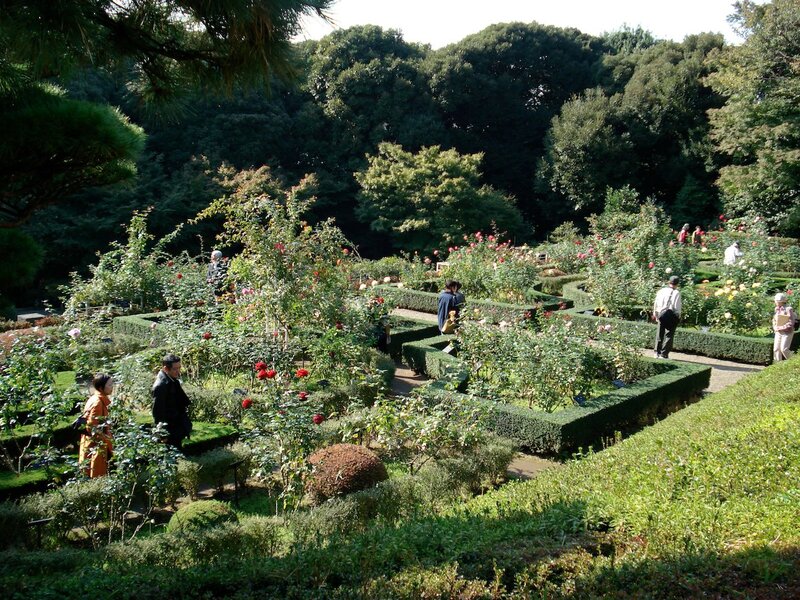 Despite its location, the Kyu-Furukawa Gardens are highly recommended if you want to see a compact and varied garden. The interior of the western-style residence is not generally open to the public. 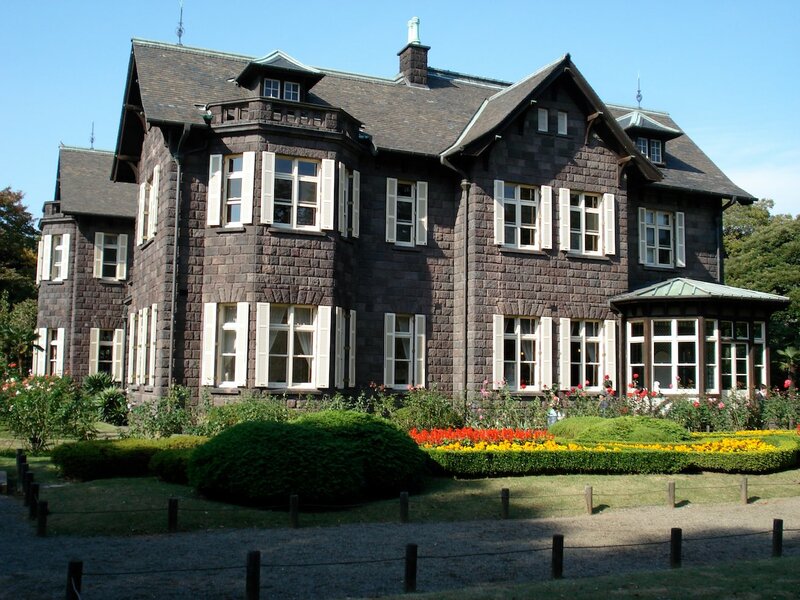 Viewings can be arranged by applying in writing to the Otani Art Museum by sending a send-reply postcard. 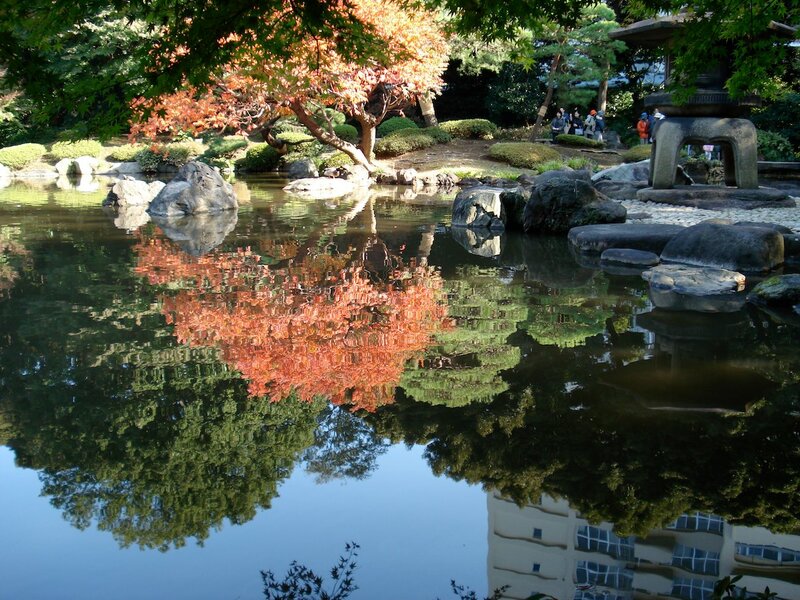 Kyu-Furukawa Gardens isn't paticularly close to any train or subway stations. 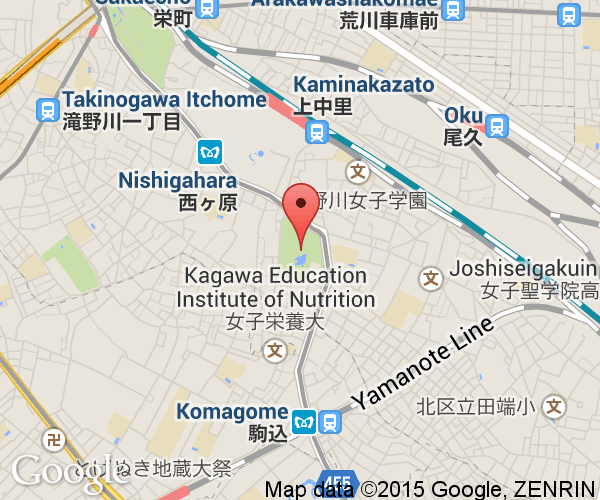 Komagome Station on the Yamanote Line is convenient but is a 15 minute walk away. The best station by JR is Kami-Nakasato Station on the Keihin-Tohoku Line. Transfer to a north-bound train at Tabata if you are traveling clockwise around the Yamanote Line. The Yamanote travels parallel to this line from Shinagawa Station to Tabata Station. It should take under 10 minutes to walk to the gardens. Nishigahara Station on the Tokyo Metro Namboku Line is about the same distance away as JR Kami-Nakasato Station.